Well, it’s been a while! Thanks for following my blog in the past. It’s been dormant for quite a few years now. 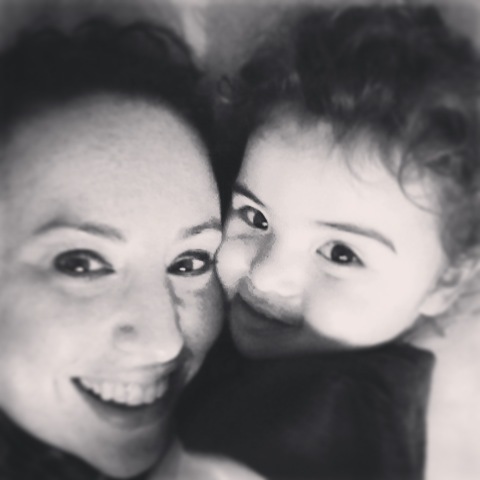 I had another baby (she’s now three) and life got in the way of writing. I think I lost my confidence a bit after another rocky post-natal period and I needed to take the pressure off myself. I did miss writing and creating though. Thankfully, through various means, I’ve been writing again. Discovering CrossFit had a hugely positive effect on my mental and physical health and given me so much more confidence in myself. I now know that, despite turning forty in a few days, I can learn new things and also be pretty good at them sometimes! I’m now part of the team at CrossFit Woodford, liaising with members as well as running their social media feeds. This involves a fair amount of copywriting which has been fantastic as I’ve wanted to start writing again for years. I’ve learned a phenomenal amount and have decided to merge my love of writing with my social media skills. My new website is RachelBergSocial.com and I’m blogging over there, now. As well as the blog, I’m in the process of creating a detailed online course for small businesses. If you relate to the text below (from my new site), maybe think about popping over to the new site and leaving your email address. Then you’ll be the first to know when the time comes! “You’ve worked so hard to build your business and you’re rightfully proud of it. You know your market inside out and you’ve established who your customers are and what they want. Your products are bang-on. But there’s a fly in the ointment. You’re noticing that your competitors are upping their Instagram game and it’s making you panic. You don’t want to be left behind or lose business to those who are more social media savvy than you. I mean, you know how to use Facebook and Insta for stalking exes and seeing what the Kardashians are up to, but when it comes to getting your business message out there… well, it’s just not happening. How do you make your stories stand out? How do you make those cool pictures with words over the top and how do use the right words to attract customers rather than just followers? What are hashtags actually for and how do you make your Instagram highlights look fancy? And what about IGTV and Video?!! Have you got a dream? A business idea or a skill you’ve often thought about but never had the confidence to take the first step? Head over to my new Instagram account for a healthy dose of motivation and empowerment, because If there’s one thing I’ve learned in recent years it’s that you’re never too old to learn something new. There’s absolutely no reason why you can’t achieve what you want if you’re prepared to work hard, get creative and have faith in yourself. Exciting times ahead! I hope you’ll join me on my adventure. You know when something awful happens in the world and you wish there was something you could have done? When the world seems full of atrocity and pain and anguish and you feel like an insignificant dot of plankton floating around in an huge, scary cold ocean without purpose? I know it’s not just me who feels like this on a fairly regular basis. I also know that I am important and I do make a difference and I’ve written about this here and here. Reading back through past posts can help me remember. This morning I woke up to the news that Robin Williams lost his battle with depression and seemingly decided to take his own life. Hearing stories like this always feel like a punch in my stomach. People who’ve never experienced depression or supported someone through it won’t know the dark depths it takes you to. I pray they never will. Supporting someone through depression is hard enough, but what about all of the people who are suffering in silence? What can we do to help them? One in four people in the UK suffer with some kind of mental illness and many of them are suffocated by stigma. They feel ashamed, alone and frightened to tell anyone. This is where we can help. We can all help. You see, we don’t need to wait until somebody “comes out” about their depression or other mental illness. We don’t even need to know about it at all. We just need to be kind. Smile at strangers…. We don’t know what they’re going through…. We have no idea what their demons are but a smile from you might be the highlight of someone’s day. One kind word from a stranger might be be enough to restore somebody’s faith in human nature…. It could give them the strength to get through one more day. One more dark night. I shared a post on my personal Facebook page this morning. As with every time I speak publicly (or at least virtually) about my own struggles I received a message from yet another friend struggling with depression and afraid to tell anyone. We discussed medication and treatment and he said to me: “I’d never have guessed you were ill. You always seem so happy”. And there you have it, friends. Some of us are masters at hiding our pain from others, for many reasons. Sometimes to protect out loved ones and save them worry and other times out of fear and shame. You can never tell what a person is going through. There is always something we can do. There’s always a small ripple to be created. It starts with us. You and me. We can do something. We can smile at strangers. We can and we should and we absolutely must…because lives may well depend on it and love simply has to win. Only bright light can chase away shadows. If you are suffering and need help, please know that it is out there for you. You matter and you are loved. Please call the Samaritans on 08457 90 90 90. A month or so ago, my absolute favourite blogger in the entire world announced that she’d be opening her website up to guest submissions. Glennon Melton blogs at Momastery. Her words are so incredibly moving, amusing, inspirational and thought-provoking that two years ago when I first discovered Momastery, I spent every spare moment over the course of about two weeks devouring every single word of each and every post she’d written in the preceding four years. Like chocolate cake for my soul. I laughed and cried and changed how I viewed womankind. It was Glennon’s words that inspired me to start sharing my own thoughts via my blog, nearly eighteen months ago. At first it seemed a ridiculous idea. Who would possibly be interested in anything I have to say, anyway? Why would anybody care about my rambling ideas on life? And anyway, there are so many amazing blogs and incredible writers out there. I couldn’t possibly measure up. As I sit here, having stared at a blank screen for a while, I’m reminding myself of this advice. 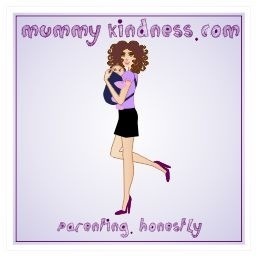 The thought of one of my posts sharing a page on Momastery feels a bit like being thrust on stage with Beyonce Knowles and told to harmonise, when you’ve only ever sung out loud in the car and even then your children told you to pipe down as they couldn’t hear One Direction over your caterwauling. 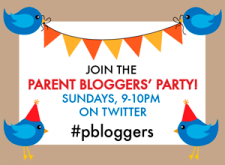 Starting my blog was scary and daunting but I did it anyway. There will always be someone better at something than me. And you, too. There will be more inspiring writers, better dancers, funnier raconteurs. There will certainly be better singers. But, do you know what? I think we should sing anyway. Dance anyway. Write anyway. Just…. do it anyway. Because someone, somewhere needs to hear your song, to feel your music. They need you to make them smile today. Or start a conversation. Or lend a shaky hand. Other people might be better qualified. More polished. More confident than you. Do it anyway. Smile at somebody. Make eye contact. Say hello. Do it anyway. But, but… what if you’re not enough? Just…do it anyway. Life is hard. Harder for some than others. Weathering storms makes us more grateful for calmer waters when they eventually arrive. We learn to somehow stay afloat. Sometimes by clinging on for dear life to the nearest buoyant object, thrashing about and gasping for air. But what if each storm is pushing us forward? Teaching us to swim and not sink? To use our survival skills to build a raft? A raft to lift others out of the depths, to offer sanctuary and somewhere safe and dry for those who are frantically treading water behind us? It’s connection that keeps us going. Support from others when we can barely stand, nevermind swim. The woman you see at the school gates…. the one who never makes eye contact or smiles? Smile at her anyway. You don’t know what she’s going through. Make space on the raft. And the competitive parent? The one who seems to be passing judgement on you and your child-rearing skills with her every utterance? Take a deep breath and remind yourself that she is struggling, too; There’s space on the raft. There’s always room for one more. The only way I can think of to teach my children to be compassionate, kind and caring individuals is to lead by example. 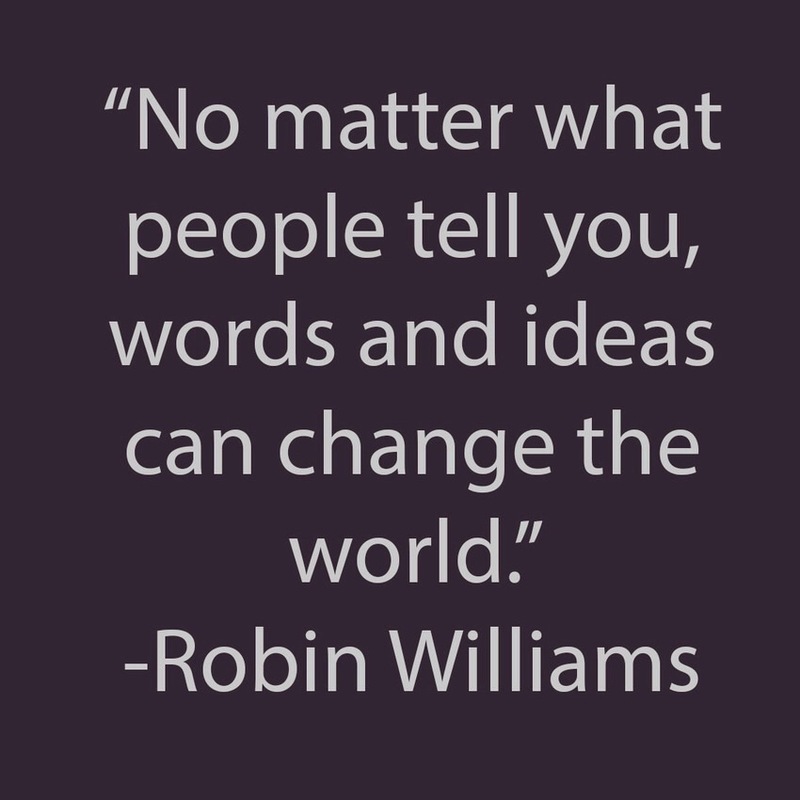 I can’t change the world, but as I’ve said many times before on my blog, I can create small ripples. A smile, a hello, or some words of encouragement might be all I can offer at times. This might seem futile given the pain and sorrow that so many endure on a daily basis. But I’ll do it anyway. It may not seem enough, but I’ll do it anyway. Those who don’t smile back may well be the ones who need smiles the most, you see. Smile anyway. I very nearly didn’t write this post. I couldn’t think of anything that seemed worthy of sharing. Anything good enough. But, guess what? I’m doing it anyway. This essay and I are part of the Messy, Beautiful Warrior Project — To learn more and join us, CLICK HERE! 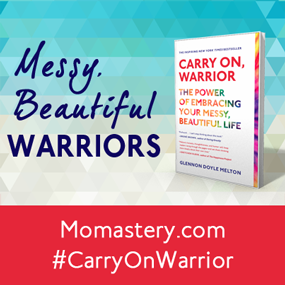 And to learn about Glennon’s New York Times Bestselling Memoir, Carry On Warrior: The Power of Embracing Your Messy, Beautiful Life, just released in paperback, CLICK HERE!